I have something a little different for you today. As background, you should know that I have an unwieldy obsession with circle glitter. This infatuation is odd considering my OCD dictates that things be all lined up in nice, right-angled shapes (just look at my blog). Perhaps my fixation with circles is my subconscious attempt to break out and be free! LOL. 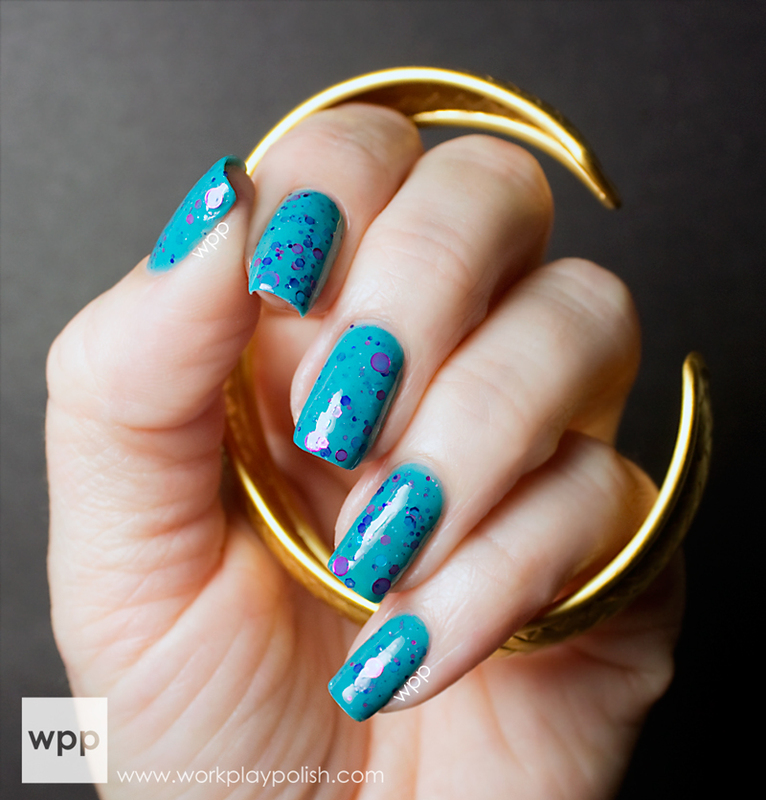 So what’s a better way to showcase the glories of circle glittered polish than to show you the best, KBShimmer! And while I’m on the topic of sparkly round things…I also want to introduce you Satya, a jewelry brand with a mission. This post is pic heavy! 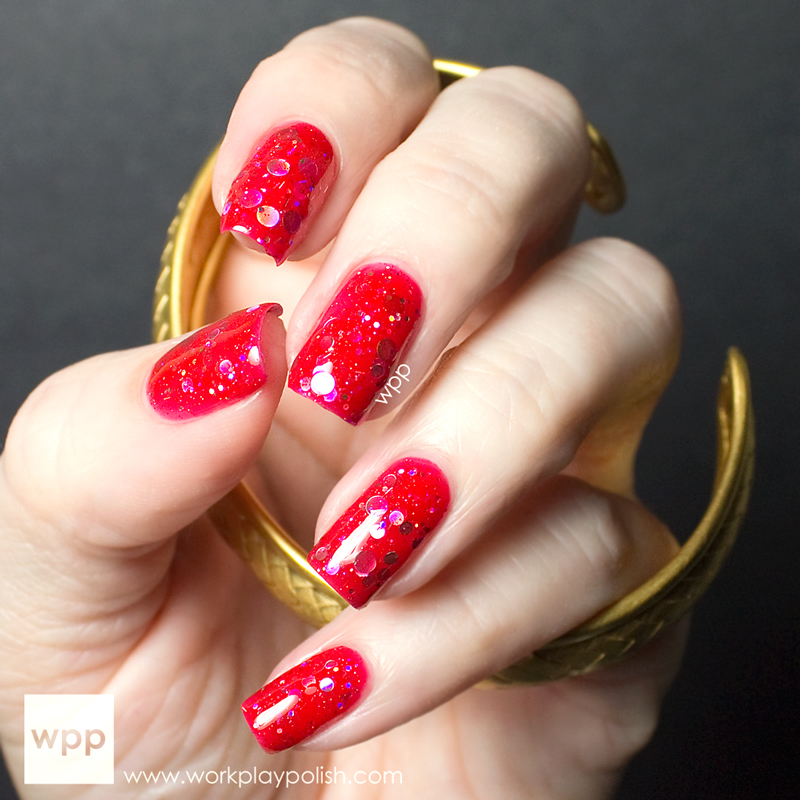 For each polish, I've included a traditional swatch of KBShimmer circle glitter polish, plus a photo that features the beautiful (and circular!) Satya Small Basketweave Cuff. After the pics, I’ll tell you some more about Satya’s meaningful collection of pretty, shiny things! Let's start with my fave. Would Jubilee It? has fuchsia, aqua and silver circle and micro glitters, along with blue and turquoise hexes. It has a big glitter payoff and is droolworthy! I’m showing you one dabbing coat over Essie Full Steam Ahead. Would Julibee It? is part of the Fall Collection released at the beginning of the month. Vicious Circles is equally awesome. It's a red jelly with holographic silver circles and slivers. This is so unique and sparkly! My pics don't do it justice! It's also part of the new Fall Collection. Grayscale is a classic black and white glitter topper, made a little more edgy with gray glitters and a larger variety of glitter shapes…including circles! Normally, I have to fish for glitter. But in this case, I was actually removing glitter. It’s really dense! My swatch is one dabbing coat over Guerlain Madame Batifole. Totally Tubular...I’ve been coveting this one since the day it was released! It contains not one, but two sizes of fuchsia circle glitters, along with a variety of other glitters, all suspended in a rich teal blue. My swatch is three coats and no undies. 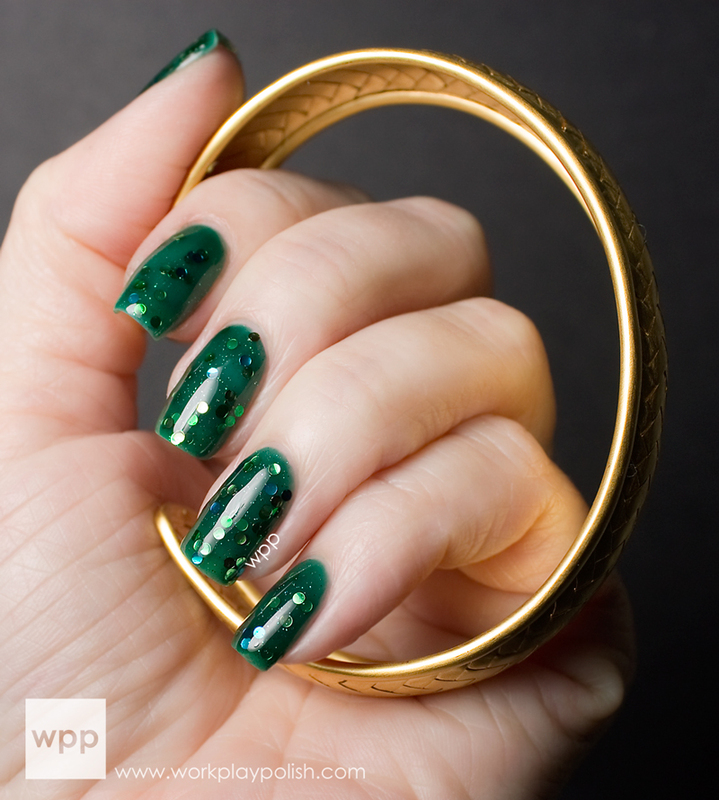 Get Clover It is a deep emerald green jelly with circle glitters in gold, green and aqua. I usually don't go crazy for green polish, but I'm loving this one! The consistency of the jelly base is absolute perfection! Where my Peeps At? 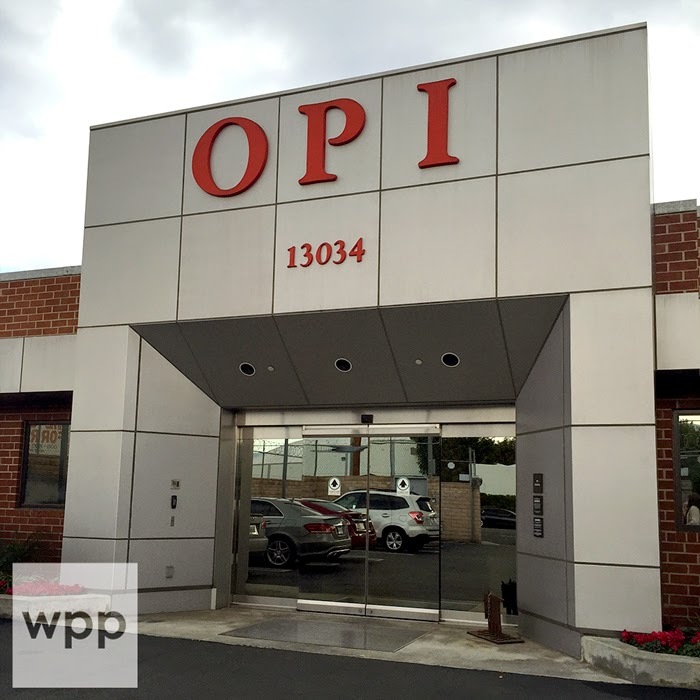 debuted in the Spring. This is like an Easter basket in a bottle. 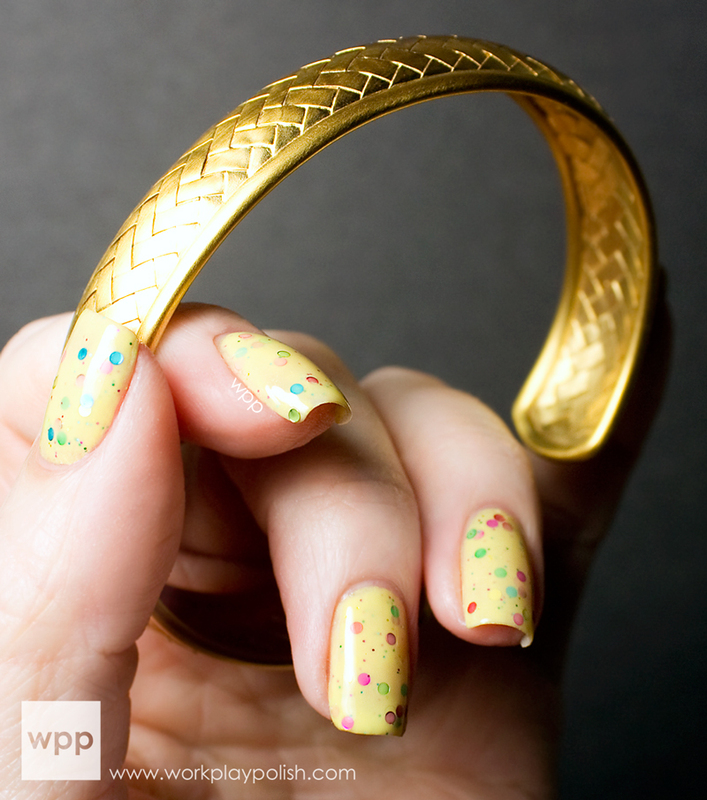 Jelly bean colored circle glitters and micro-glitters are suspended in a creamy yellow base. I swatched this over Zoya Piaf, but I probably didn't need to. And the last polish I have to show you is Lottie Dottie. It's a white crelly with a light load of fuchsia and turquoise circle and micro glitters. I like the clean look of this one. 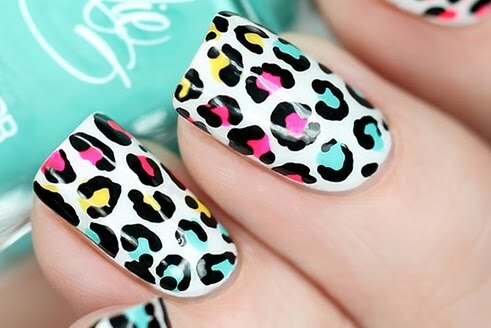 This is three easy coats. Application was really impressive, especially with the dense glitters. While in some cases, I did fish a bit for the big circles, the glitter was well-distributed using the dabbing technique. 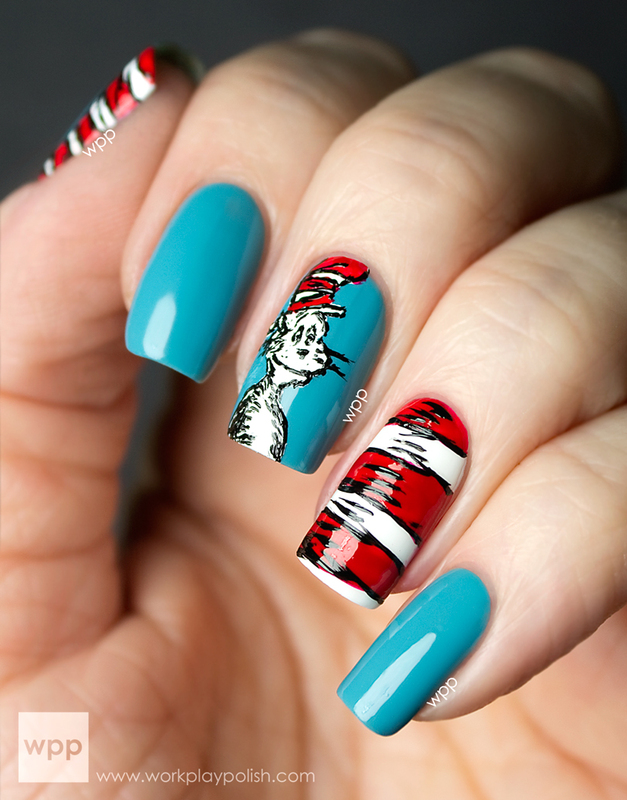 Each swatch is finished with one or two coats of KBShimmer Clearly on Top Quick Dry Topcoat. 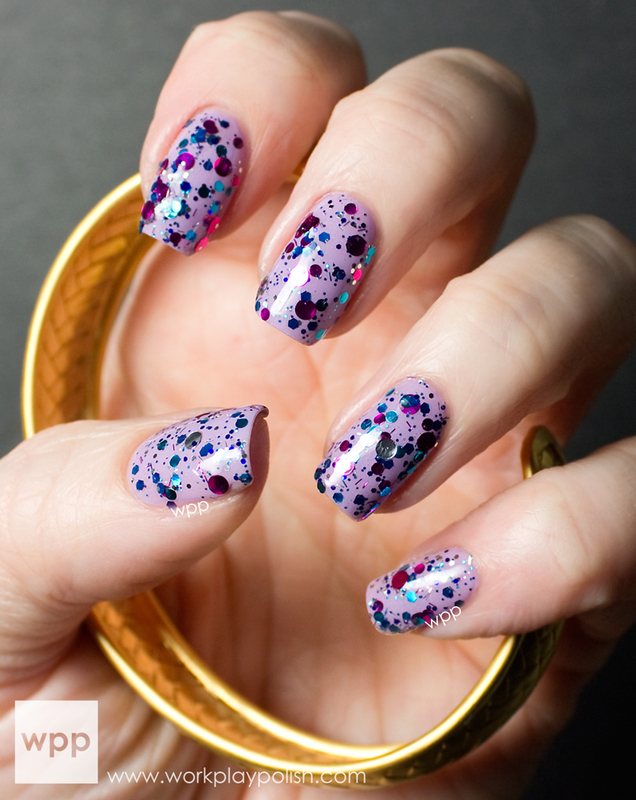 Did you see the KBShimmer ad in Nail It! magazine? Cool, right? KBShimmer polishes retail for $8.50 each and can be purchased stateside at KBShimmer.com and internationally from Harlow & Co. KBShimmer makes bath and body products too! Follow KBShimmer on facebook, twitter and instagram to keep current on new releases and promotions! Now some more on that beautiful bracelet! The Satya Small Basketweave Cuff retails for $149 and comes in gold and silver. The bracelet is shockingly light because the gold or silver is plated over brass. I love how it feels on my wrist. I typically don't wear cuff bracelets because they feel heavy and clunky to me, but this one is breezy and comfortable! The cuff also adjusts easily to fit even the teeniest of wrists. Satya Jewelry can be purchased online, at Satya Boutiques in New York and London, and retailers nationwide. Visit the retailer link to find one near you. You can also find Satya on twitter, facebook and instagram.